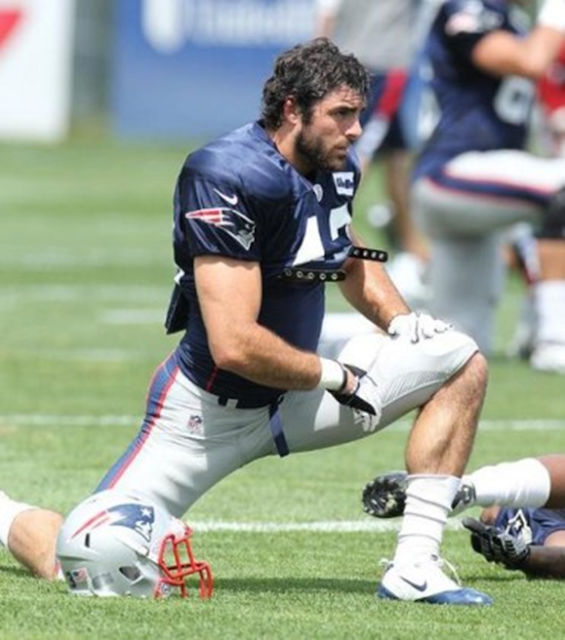 Thanks to YouTube, we’ve already gotten the sense Nate Ebner’s special teams abilities are off the charts. Now that he’s been on the field a few weeks as an active participant, we’re starting to see his potential as a defensive back. Today, he picked off two passses, both off tips. One was thrown by Brian Hoyer, the other by Ryan Mallett. He had an interception on Wednesday, as well. So we’ve seen some ball skills, along with Ebner having a knack for being in the right place at the right time. He’s turned some heads this week, no doubt about it.